Find out which problems are no big deal — and which ones you need to pay attention to. If you’re traveling this summer, make sure to plan ahead — so you stay healthy and safe. We talked to Dr. Blumenthal about issues his patients have faced while traveling, so you can avoid them yourself. Have patients called you when they’re on vacation? Why? What’s a common health problem they’re worried about? Here’s one — swollen legs and feet after a long car ride or plane flight. Sitting in a cramped seat, eating salty food, and the pressure change when you fly can all make your legs and feet swell a little bit. Actually, it’s common and — for most people — not a big deal. It should go away on its own, though if it bothers you, compression stockings can help. I tell most patients not to worry and to enjoy their time off — with a few exceptions. If your leg swelling doesn’t go away after a few days — or it happens often — get it checked out by a doctor. And definitely call your doctor if you get this symptom and have congestive heart failure. 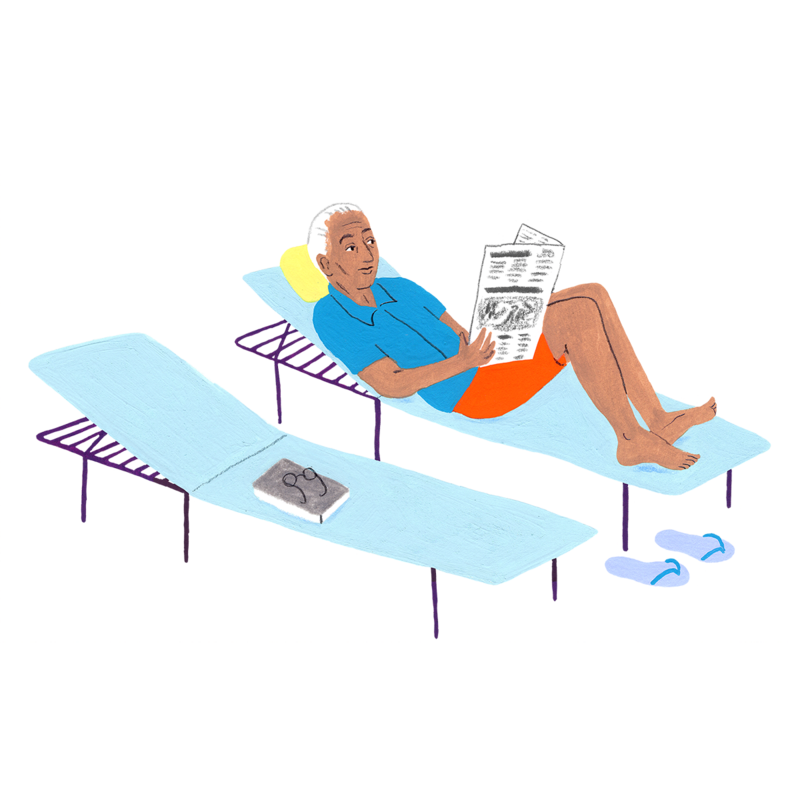 Finally, if you have swelling in only one leg — and pain — go to a hospital right away. That can be a sign of a blood clot, called a DVT (deep vein thrombosis). How can you lower the chances of clots when you’re traveling? DVTs are more likely when you’re not moving much — it’s easier for blood in your legs to clump together and form a clot. That’s why the risk goes up on long plane flights or car rides. The best thing is to move more. I tell patients to get up (or out of the car) and walk around or do some stretches every few hours. Also, compression stockings can help prevent DVTs, too. What about Zika and diseases in other countries — how can you protect yourself? Plan ahead. I tell patients who are traveling to other countries to check the Traveler’s Health page from the Centers for Disease Control (CDC). It’s got everything you need to know about local diseases and any shots you’ll need. Make sure to check back for updates a week or 2 before you go out of town. Any tips about medications while you’re travelling? Don’t forget them — get those refills early! And keep them in your carry-on instead of your checked bag, in case your luggage gets lost. Depending on where you’re headed, your doctor may also decide to prescribe a drug for traveler’s diarrhea, just in case. Nothing can ruin a trip like traveler’s diarrhea. There’s a lot you can do to protect yourself, though. If you’re in an area where it’s common, don’t drink tap water. Stick with bottled water and juice — and no ice, since it's frozen tap water. Coffee and tea made with tap water are okay, as long as the water’s boiled first. And only eat vegetables that have been cooked and fruit that you peel yourself — bananas, oranges, and grapefruit are all great options. Do you have any other advice about staying healthy while on vacation? Life is about balance, and one of the most important things you need to do is enjoy yourself. I tell my patients to make sure they have fun on vacation. It’s even okay to put some of your health goals — like losing weight — on hold while when you’re away. But I also tell them which problems you can’t take a vacation from — like diabetes, high-blood pressure, congestive heart failure, and infections. So if you have any health conditions, keep taking your medications and follow your doctor’s advice, no matter where you are.